Below you can view all the homes for sale in the East Haven subdivision located in Covington Georgia. Listings in East Haven are updated daily from data we receive from the Atlanta multiple listing service. To learn more about any of these homes or to receive custom notifications when a new property is listed for sale in East Haven, give us a call at 404-998-4152. 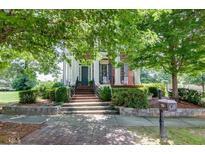 A Real Custom Home In The Heart Of Historical Covington. Enjoy Downtown Living MLS#6528409. Pinnacle Realtors. Screened In Back Porch Will Be Great For Entertaining And Is Stubbed And Ready For Your Gas Grill! MLS#8538840. Southern Landmark Realty, Llc. A Real Custom Home In The Heart Of Historical Covington. Enjoy Downtown Living MLS#8534971. Pinnacle Realtors. Within Walking Distance To Covington Square. MLS#8511320. Platinum Key Realty Of Georgia.